Conversations and interviews with host Mark Norquist and guests on everything related to hunting, fishing and other paths to eating meat responsibly. In this eighth episode of the Modern Carnivore Podcast I take a trip to the Boundary Waters Canoe Area Wilderness ( BWCAW ) with a great group of guys to go hunting and fishing. That group included Miles Nolte from Gray’s Sporting Journal (but he’s now a member of the crew at Meat Eater), Lukas Leaf from Sportsmen For The Boundary Waters, Rob Drieslein who is the President of Outdoor News and Jack Hennessy who is an outdoor writer and wild game cook. I also focus on Wilderness (with a capitol “W”) and specifically the threats to public lands and waters like the BWCAW. Episode 6: Tom Landwehr, former Commissioner of MN Department of Natural Resources talking deer camp. Have a question you’d like answered, or have an idea for the Podcast? Shoot us a note at info@modcarn.com. 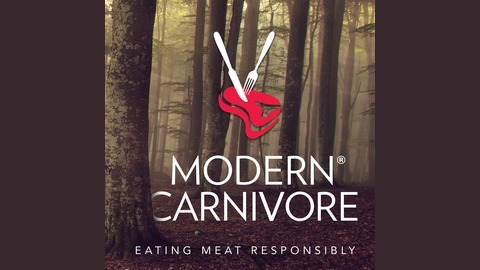 Welcome to the Modern Carnivore Podcast. A guide for those interested in hearing more about fishing and other paths to eating more responsibly. Now here’s your host, Mark Norquist. Hey everyone. 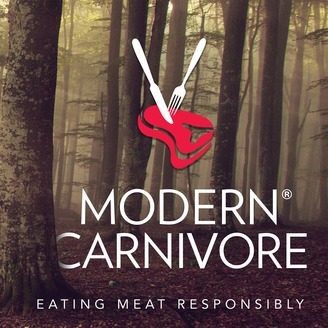 Welcome to episode number eight of Modern Carnivore Podcast. Today we’re going to talk about Wilderness areas. And more specifically, we’re going to take you to the Boundary Waters Canoe Area Wilderness, which is the most threatened Wilderness in the U.S. So before we get into that, let’s do a little background on what we mean by wilderness with a capital w. The Wilderness Act was signed into law by President Lyndon B Johnson in 1964 and it created the National Wilderness Preservation System and it also put a legal definition around the term Wilderness. One of the primary authors of this act, Howard Zahniser, uh, defined it this way, “A Wilderness, in contrast with those areas where man and his own works dominate the landscape is hereby recognized as an area where the earth and its community of life are untrammeled by man, where man himself is a visitor who does not remain. It’s really protective overlay that’s applied to certain areas in our country; certain areas of public lands. They could be national forest parks, wildlife refuges, any number of different places. Um, one of the criticisms that has been made in the past about it is the reference to quote man himself as is a visitor who does not remain. But I think that’s the critical element of it and why it is really unique. So if you think about it, there are very few places where there are no buildings, no roads, no machines, and the only really semi-permanent structures I can think of would be these throne toilets. Basically a seat to sit on and do your business and the fire grades to control where you, where you do fires. And that’s specific to the Boundary Waters where we’re at today. And I think that’s a pretty special thing in something that is, that is needed in this world. There are 765 of these Wilderness Areas in the U.S. they comprise just over 109 million acres total, which is under 5% of the u s landmass. And the Boundary Waters, Canoe Area Wilderness is just over 1 million acres itself. So, the question is why are these areas important? Well, if you hunt or fish, I would say there’s no better place to do those activities. It’s still and quiet and in essence allows you to travel in time to a, to a place in a, in a time where we didn’t have a lot of these modern mechanizations. And uh, again, that’s, that’s a pretty special thing. And when you talk about doing hunting and fishing and forging activities in a place like that, that’s pretty special. You know, I was, um, the fall before last I was antelope hunting out in Wyoming had a wonderful time, great people, great place. But there were a lot of roads, a lot of fence lines marking up in really chopping up this crazy, this patchwork of public and private lands and oil derricks all over and um, had a great time, really beautiful place in its own right. But if I was given my choice on where I’m going to hunt and fish, I’ll take a wilderness area where those, those, um, aspects of man and development are, are not seen readily while you’re doing the activities. The Boundary Waters is, is, is one of those places. There’s over a thousand lakes in this, in this wilderness area, and 1500 miles of canoe routes. The water in this area is so clean that many people will actually just dip their water bottle over the side of the canoe to take a drink. I would personally recommend using the filter for potential of giardia any other potential risks to, uh, to your digestive system. But that just gives you an example of how clean this water is in this wilderness area. So if you want to lose yourself and really catch some great fish and maybe shoot a grouse, this is the place took to do it. So why is the Boundary Waters Canoe Area Wilderness threatened? As I mentioned at the open here? Well, currently there is a Chilean mining conglomerate that’s trying to cite a copper mine within the watershed of the Boundary Waters, Canoe Area Wilderness. And you may say, so what’s the problem with that? We’ve got mines and in areas a wilder is all over the country. Well if you look at the facts, it becomes a little concerning. Research shows that 100% of this type of copper mine experiences pipeline spills and accidental releases. So what are they spilling or releasing? Oftentimes it’s one of the main byproducts of copper mining and that is sulfuric acid. So if a mine were placed within the watershed of the Boundary Waters Canoe Area Wilderness, and when not, if it had a spill, that acidic slurry of byproducts would go right into these waters, these pristine waters. So what’s happening today? Right now? Well, just a couple of weeks ago, um, letter came across my desk that I saw, which was from the chair of the House Natural Resources Committee, the chair of the House, Interior Environment Appropriations Committee, and the chair of the subcommittee on Energy and Mineral Resources. It’s a lot of a lot of terms there, but they sent a letter to the Secretary of Agriculture and the Secretary of the Interior and in it they, they basically called out a lot of activities that they’re, that they believe are rather dubious. The current administration in its pushed to greenlight, this Chilean companies, mine in the boundary waters has ignored so much data and fact around the risks that this mind would pose to this area. Some of those are, there’s a $900 million recreation industry in that region of the state, which, which obviously is driven in large part by the pristine beauty of this wilderness area. It is the most visited Wilderness in all of America. And polls show that more than 70% of people in Minnesota Support Protection of the this wilderness from mining inside of its watershed. So some of the things that they have, they have done not only ignoring those facts is the Administration has recently cancelled the environmental review that was underway to determine the risks that mining would pose to the wilderness and the waterways. And now they’ve decided to renew the leases that are held by this, this Chilean company and its predecessors for the last 50 years. But they never exercise the use of it and it had expired, but now they decided to renew them. So the bottom line is if you like to hunt and fish, or if you’re aspiring to hunt and fish and forage a wilderness area, like the Boundary Waters Canoe Area is about as good as it gets anywhere in the world. And if that’s important to you, I’d recommend letting your elected officials know what you think about these moves to put our wild heritage at risk for the benefit of a foreign conglomerate who will really take then move on, leaving us to clean up the mess. So let’s get to today’s episode. On a happier note, we were traveling in the boundary waters, Canoe area wilderness, this beautiful place today. And we’re going to take you there. And it’s a throwback. This recording is actually a throwback to a trip I took in the fall with a great group of guys. We went, uh, went up to go grouse hunting and to uh, to do some fishing. I was joined by Miles Nolte who at the time was the editor of Gray Sporting Journal. He is now with meat eater, LuKas Leaf, who’s the executive director with sportsmen for the boundary waters. Rob Drieslein who is the President of Outdoor News and John Hennessy, or a Wild Game Jack as he is known who is an outdoor writer and wild game cook. Again, we hiked through these really amazing areas and paddled across some, uh, some wonderful waters. The weather was great, a beautiful fall evenings and you’re going to notice there’s water flowing. You can hear it a lot. Uh, and that is because there were some heavy rains right before we got up there and we had rivers flowing everywhere, including right through the middle of our camp, right where we were sitting when we recorded this. So a lot of, a lot of wind and water. But I hope you enjoy the conversation and taking it to the Boundary Waters Canoe Area Wilderness today. Okay. We are here in the Boundary Waters of a northern Minnesota and the boundary waters canoe area wilderness and got a group of guys here. Why don’t we go around. Miles went, you, uh, introduce yourself. I am Miles Nolte. I’m the angling editor for Gray’s Sporting Journal and a fly fishing guide based out of Bozeman, Montana. Jack Hennessy, freelance outdoors journalists and wild game cook. Rob Drieslein managing editor, president of the Outdoor News publications out of the twin cities enjoying a trip in the Boundary Waters. Excellent. So we’ve been up here now I’m second am second day, second day in the boundary waters. And we came up, um, to do a little fishing, a little hunting. And uh, that was the goal. And I want to, I guess start by by talking about the context of why we’re here, which is these are public lands and public lands are a critically important part of hunting. Thanks for listening to the Modern Carnivore podcast on Wilderness and the BWCAW. You can continue the journey by going to modcarn.com.